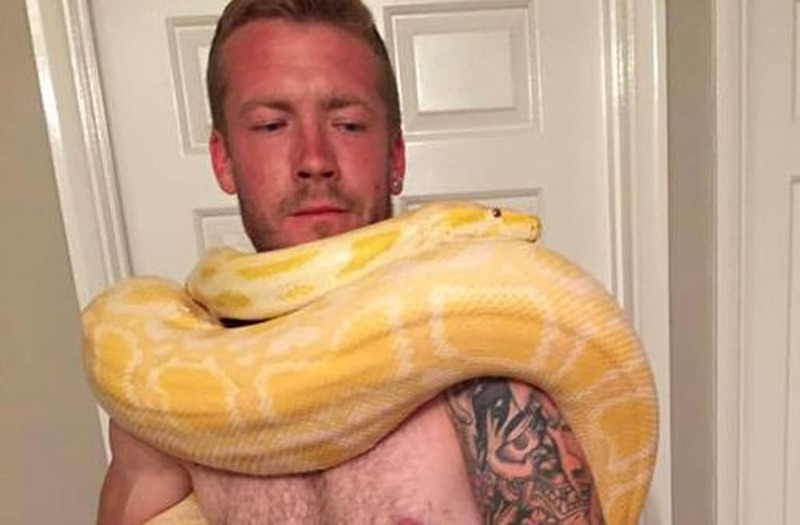 The death of a 31-year-old British man whose body was found next to one of his many pet snakes has been ruled an asphyxiation, according to the Mirror. Dan Brandon was found dead at his parents' house in Church Crookham, England, on August 25 with his massive Burmese python nearby. The non-venomous snake, which kills its prey by constricting it to death, had apparently escaped its cage. 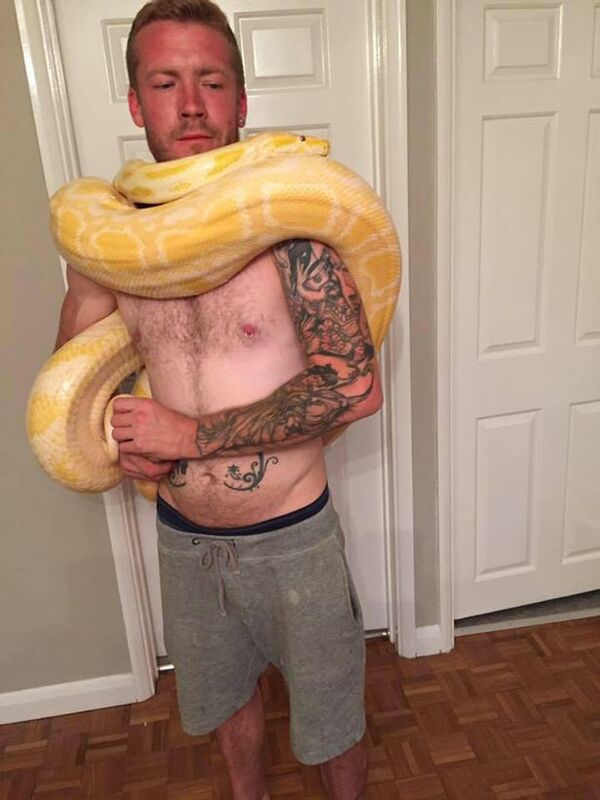 Although a spokesman for Basingstoke coroners office said on Sunday that "it has become known that the cause of death was asphyxiation," it remains unannounced whether Brandon's snake played a role in his tragic demise. “It is under investigation whether the snake was involved," A source told the Sun. "The death is in an investigation stage between natural causes and an inquest. Investigators are waiting for the full toxicology results and reports to come back from a post-mortem." Southern Copperhead (Agkistrodon Contortrix Contortrix) slithering through the green grass. The eastern indigo snake is a large nonvenomous snake native to the Eastern United States. King Cobra on brown sand.